To receive the Insight Center newsletter. A growing number of motion picture exhibition operators are delivering a fuller customer experience with enhanced amenities. Moviegoers in a targeted cities throughout the country are enjoying an experience-redefining trend that stretches beyond massive screens and booming sound. As many theatres are capitalizing on cutting edge visual and auditory capabilities, an increasing number of exhibitors are taking the next step into a fuller customer experience with enhanced amenities. 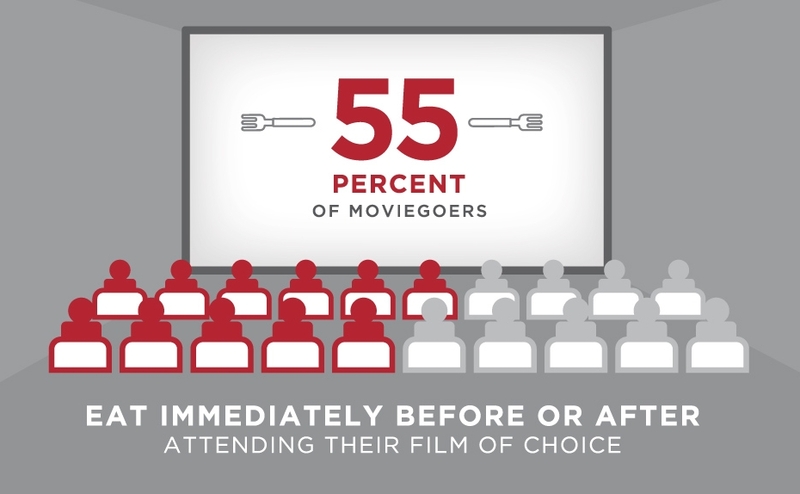 A Nielsen report found that 55% of moviegoers eat immediately before or after attending their film of choice. 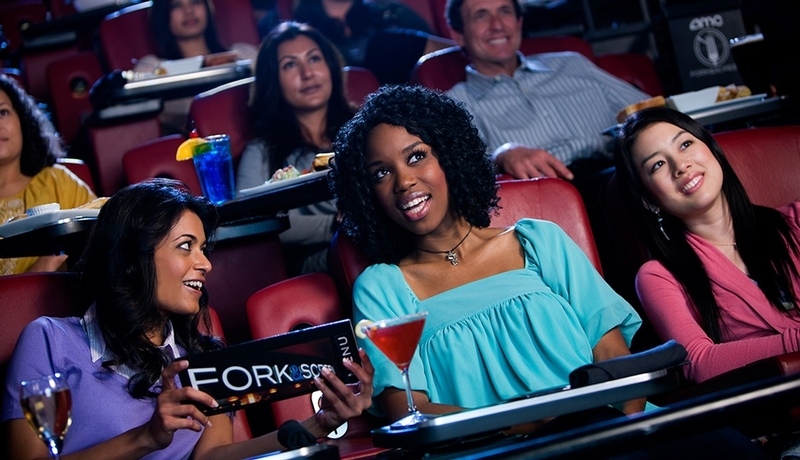 A number of enhanced amenity venues are making the most of this insight by combining dining options with big screen entertainment to make the theatre a true dinner-and-a-movie option. Why? For the theatres that have made the move, it’s an opportunity for increased spend-per-visit from consumers and increased revenues. And with an emphasis on quality of experience, return visits are more likely. 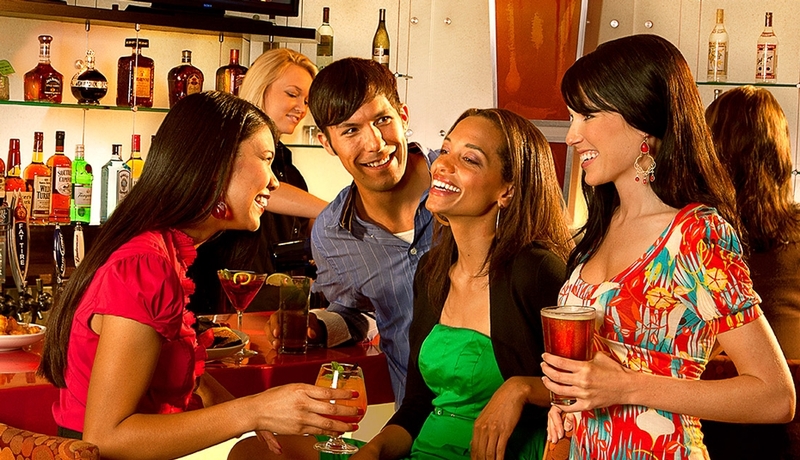 Food and beverage offerings range from futuristic soda dispensers to premium snack variety, in-theatre dining concepts and bars and lounges. 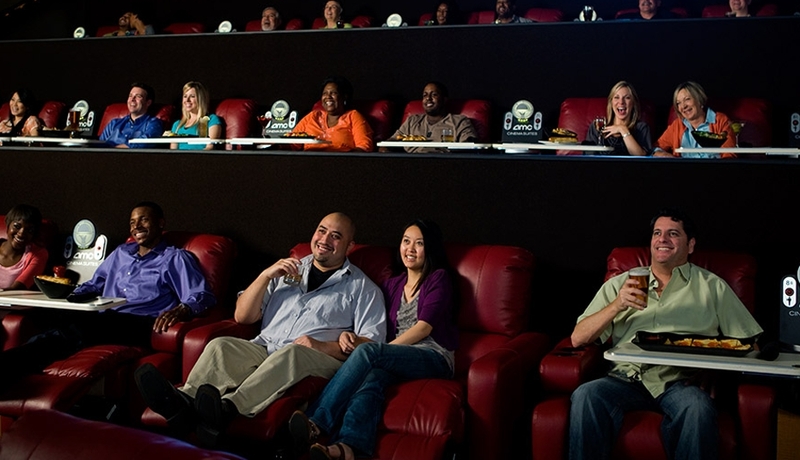 At these types of properties, the movie theatre experience has become an all-in-one source of entertainment. These are changes that can expand appeal to a variety of demographics. 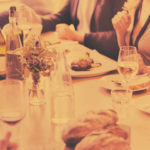 The addition of alcohol options helps to expand the appeal of the theatre experience for the older demographic beyond the core frequent moviegoer population. It also fits nicely with high-amenity theatres, which deliver gourmet dining options in the comfort of reserved seating. The appeal of enhanced amenities reaches beyond food and beverage. 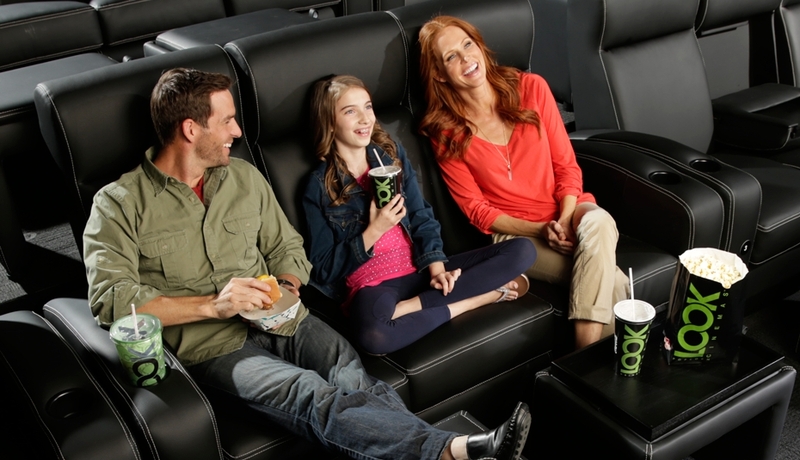 Luxury recliners are a leading feature of many of these theatres. To make room for the oversized seats, capacity may be reduced by more than half. Evidence thus far has shown the reduction in seats has been offset by increased attendance. 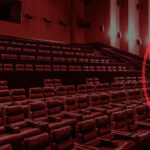 AMC Entertainment Holdings recently reported that on average, locations which have gone through a reseating renovation have seen a 72% increase in attendance, despite 64% seat loss. For these theatres this translated to an 112% increase in total revenues. The evolution toward enhanced amenities is in the beginning stages, so look to see continued reinvention. 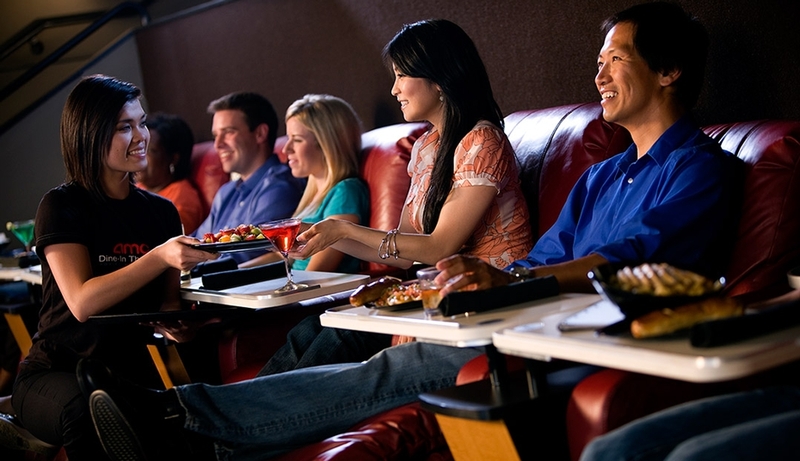 Delectable and delicious: In-cinema dining continues to grow. 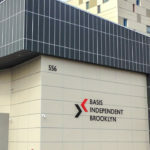 Film Journal.com, 2012. Web. 22 Dec. 2013. AMC Citi 2012 North American Credit Conference Report. AMC Theatres. 2012. Print. 22 Dec. 2013. Theatrical Market Statistics 2012. Motion Picture Association of America, Inc. 2012. Print. 22 Dec. 2013. 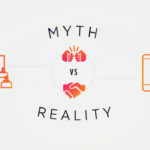 Nielsen Media Research 2012: Interview Questions and Galaxy Explorer. ScreenVision.com. 2012. Web. 22. Dec. 2013. Millennials Like Their Entertainment Options On Demand. Stitcher.com. 2013. Web. 28. Dec. 2013.